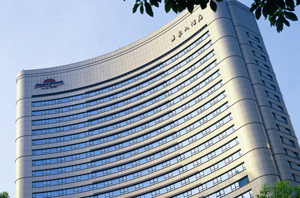 Shanghai Hotel, Shanghai Hotel Reservations, Book Cheap Shanghai Hotels online! Shanghai have more than 3000 hotels, it include the cheapest express hotels and the expensive luxury hotels. Our company (SAT) could provide the cheap and suitable hotel as you need. If you book Shanghai hotels from us, we will provide free private airport transfers for you. 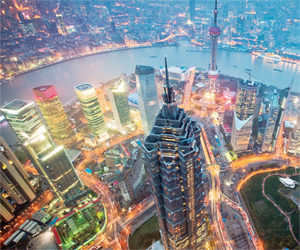 As the largest city of China, Shanghai has developed a reputation of being on the cutting edge of fashion, technology, communications and architecture. Shanghai have more than 3000 hotels, it include the cheapest express hotels and the expensive luxury hotels. Our company (SAT) could provide the cheap and suitable hotel as you need. If you book Shanghai hotels from us, we will provide free private single airport transfer for you. Grand Hyatt Shanghai is located on the 53rd to 87th floors of the Jin Mao Tower , one of the world's tallest hotel. It's in the center of the famous financial district Lujiazui, Pudong commercial center of old Shanghai Puxi between centers and the city's famous tourist attractions easily accessible, such as Shanghai's famous Bund, Yuyuan Garden, shopping malls, museums and Century Park. Luxurious rooms and suites can enjoy the breathtaking 33-story atrium hotel and window Oriental Pearl Tower, the Bund and Puxi city views, rooms are decorated with a luxurious fusion of traditional Chinese art of design concepts. The spacious marble bathroom with a comfortable window bath and throughout the city. Hotel business center to carry out business activities for the guests full facilities, secretarial services. 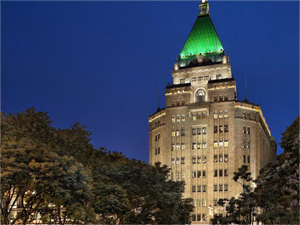 Fairmont Peace Hotel is located in the east of Nanjing Road, it's near with the famous Nanjing Road Pedestrian Street, and the other side is the famous Bund, it became a taste of Shanghai-style charm and vitality of a great location. In the past eighty years, this highly anticipated landmark has been a social center on the beach and celebrities amusement place. After three years of extensive renovations, retro glamor dazzling radiance renewed here, elegantly decorated rooms and suites combine modern technology and the most luxurious and comfortable accommodation combine to present you with unrivaled hotel tour. The hotel also features the 'Old Jazz Band', a group of Jazz veterans who play in the hotel's English-style bar nightly. 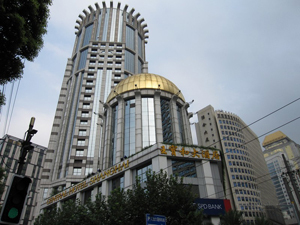 Broadway Mansion Hotel is located in the Shanghai Bund Waibaidu next to the Bund Financial Street, Nanjing Road Commercial Street in close proximity. The hotel is built by British businessmen, in the passed 70 years, there Received nearly 100 heads of state from around the world and government leaders. 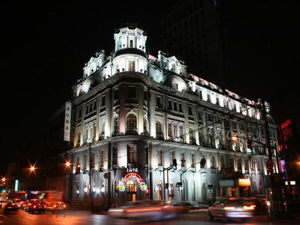 The main building of the hotel is one of 14 modern history, heritage buildings on the bund, exterior style, tough, has a long history and can not be changed. Hotel interior is luxury and elegant. Broadway Mansion Hotel offers luxurious, comfortable and spacious rooms are classical and neo-classical style, equipped. All equipped with high-speed Internet interface. 10-16 layers Broadway Executive rooms and Executive Lounge not only gives a panoramic view of guests unforgettable comfort, more spare time in the business, showing a perfect open space. 17,18,19 floor ballroom overlooking the Huangpu River is the best place. At night, the Bund and Pudong Lujiazui area beautiful night view. 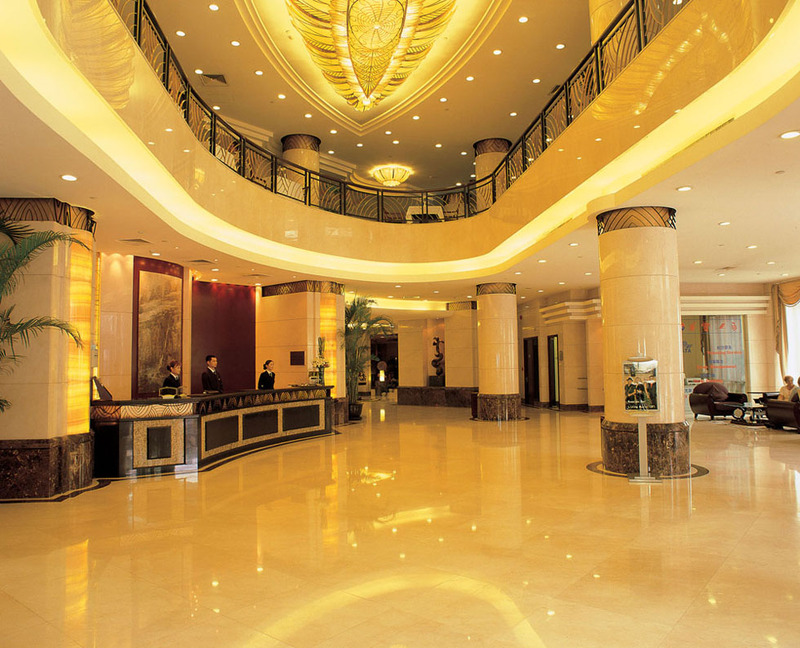 Shanghai Howard Johnson Plaza Hotel is located in the bustling city center, is located on the famous Nanjing Road, Century Plaza, opposite, that is one step away from the prestigious China First Street - Nanjing Road Pedestrian Street. Walk east ten minutes to get to the famous Bund, Shanghai International Architecture group enjoying a long history. Within walking westward to Shanghai People's Square, where stands the majestic Shanghai Museum, the magnificent Shanghai Grand Theatre. Sofitel Hyland Hotel is located in the "China Business First Street," the Nanjing Road pedestrian street, surrounded by department stores, specialty stores, specialty restaurant everywhere, from Shanghai's famous attractions Bund, Shanghai Museum, Shanghai Grand Theatre and the Yuyuan Garden swept away. Hotel is close to the subway, with easy access to Shanghai truck quickly each district and tourist attractions. 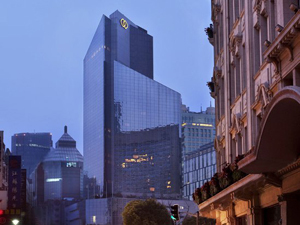 Shanghai Central Hotel is a four-star business hotel located in downtown Shanghai, and Nanjing Road pedestrian street adjacent to Century Square, ideally located in the excellent, home food shopping, within easy reach. The hotel combines advanced design concepts, physical elegance, extraordinary style. 27 storeys, with 319 various types of rooms, seven different styles of restaurants and bars of different sizes banquet facilities, well-equipped conference facilities, fully functional health and fitness center, beauty salon and sauna center. Excellent business atmosphere to bring you great convenience, making business travelers and holiday makers an ideal residence in Shanghai. 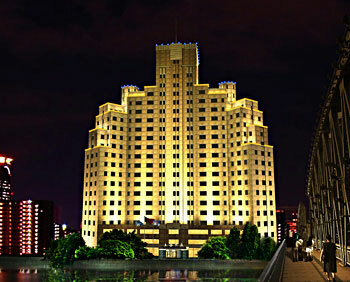 The Bund Hotel is located in the center of Shanghai's bustling business district, close to the world-renowned Bund and Nanjing Road Pedestrian Street, and the vitality of the Pudong Lujiazui financial district across the river and look, is all kinds of business events and leisure ideal choice. 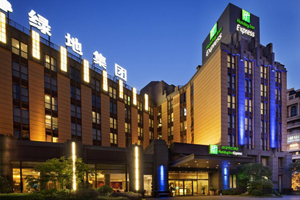 Holiday Inn Express Putuo Shanghai near Jing'an Temple and Zhongshan Park two financial district, from the Shanghai Exhibition Centre is less than 5 km, 20 minutes drive away. Has a river view room and garden room, facing the beautiful scenery of Suzhou Creek exclusive waterfront, quiet. Convenient transportation allows you to comfortably and quickly reach Shanghai's shopping center and tourist destination. Jinjiang Inn Shanghai North Bund area unique geographical advantage, can give your convenience, from the hotel you can easily explore Shanghai's famous attractions (Bund, Nanjing Road Pedestrian Street, Oriental Pearl Tower, Jinmao Tower, World Financial Center, Moses Hall etc. ), you can also appreciate the unique old Shanghai Shanghai culture (Doran Road Cultural Street, etc.). At the same time we are a professional and sincere hospitality, to provide you with a comfortable home-like feeling and make your trip to Shanghai more full aftertaste.